A panel of government and academic scientists have sharply criticized the FDA’s ruling that BPA is safe. The SCIENTIFIC PEER-REVIEW OF THE DRAFT ASSESSMENT OF BISPHENOL A FOR — USE IN FOOD CONTACT APPLICATIONS just may be the scariest thing this Halloween, as it exposes flawed methods and accusations of ignoring scientific evidence by the FDA. Scores of studies have linked BPA to prostate cancer, diabetes and other health problems in animals. The strengths of the draft safety assessment notwithstanding, the Subcommittee identified several significant concerns with the assessment in its current form. The exposure assessment lacks an adequate number of infant formula samples and relies on mean values rather than accounting for the variability in samples. The draft lacks a clear description of the criteria for eliminating an increasing number of non-GLP studies that indicate the possibility of toxic effects that are not mediated by interaction of BPA with the estrogen receptor, and the Subcommittee does not agree with the exclusion of the non-GLP studies in the safety assessment. Additional concern is expressed with the calculation of the NOAEL and specifically whether the exposure assessment to ‘at risk’ infants with minimal or impaired metabolic function and exposures from medical devices and procedures is as conservative as the assessment claims. In fact, it is the judgment of the Subcommittee that lack of consideration of the totality of exposures from other sources severely limits the usefulness of the safety assessment with respect to food contact applications. 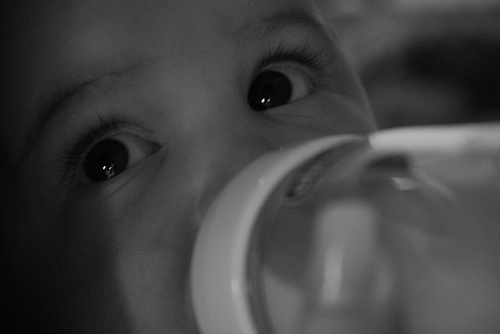 If the agency determines that existing margins of safety are insufficient in infant applications, our member companies that manufacture BPA will put processes in place to promptly phase out the use of materials containing BPA in baby bottles and infant formula packaging. Further exposing children and infants while studies are conducted is irresponsible. Relying on industry-funded studies does not provide accurate results due to conflict of interest. It is time we protected our children from harmful chemicals as a nation! Sponsored Video: What is the best eco-friendly idea for birthday parties?